Ramadhan should change ourselves for the better. At least, it should be the platform that catalyses changes in us. Below are 10 ways in which Ramadhan can help us engineer changes within ourselves. One can never effectchange within his or herself without knowing one’s self in terms of strengths, weaknesses, available resources and other aspects. The renowned war strategy expert, Sun Tzu mentioned : “Know yourself and know your enemy and the next thousand battles will be a thousand victories. In the management field, this process of knowing one’s self can be performed through the SWOT analysis which is the process of analysing one’s Strengths, Weaknesses, , Opportunities and Threats. This process is often utilised for office and company planning but not many use it as a gauge for one’s personal or family development in life. Ramadhan provides us with the opportunity to know ourselves and the extend of our patience, sincerity, gratitude and other qualities because one would be more concerned about addressing these qualities in order to preserve their act of fasting. As such, capitalise on the presence of Ramadhan to know ourselves. Create time to reflect and account for one’s self. Utilise the numerous systems for analysis which are available to know ourselves better. One who fails to plan has indeed planned for failure. These are words of wisdoms found in the science of management. Managing one’s life is pertinent. Without proper management, we will incur losses because of missed opportunities, wastage of resources, failure to optimise potential and other factors. Ramadhan is the perfect month to start inculcating good life management skills. Throughout the month of Ramadhan our daily routines will increase as we perform recommended deeds such as the terawih and witir prayers, sahur and the recitation of the Qur’an in addition to our daily routines at home and at work. All these require proper planning and management for maximum result. The failure to do so will most likely consequent in the neglect of the above deeds which will certainly be of great loss to us. The conscious planning of our schedule in Ramadhan to accommodate both our daily responsibilites and acts of worship will create a healthy routine. This routine when continued beyond Ramadhan will contribute to success and a remarkable change in our lives. Nevertheless, do take heed that most importantly is the management of one’s life in preparation for the day of judgement. In order to initiate change to our lives, we must be able to exercise control as this life is full of battles and competitions involving various priorities and desires. Only those who are able to control themselves will be able to decide what is best for their own positive development. Failure to do so will only cause our desires to reign supreme within ourselves. We have seen numerous instances of individuals losing their honour and committing numerous heinous acts as a result of their failure to control themselves such as a father performing immoral acts onto his own daughter or maid. Most youths today succumb to their desires as a result of the lack or absence of self-control. Fasting is the best form of practice to curb one’s self as it builds within one’s self an inner control which is stronger than an external one. One who controls his desires due to external factors such as the fear of his parents would easily succumb to wrongful desires when his parents are out of sight. Fasting empowers one’s inner strength because the true spirit of fasting far exceeds the mere act of restraining one’s self from succumbing to thirst and hunger. One who is truly fasting would protect his or herself from any sinful actions even when left to his or her own devices because he or she acknowledges that Allah is the Most Seeing and wouldn’t want his or her deeds to be negated. Let us make full use of this Ramadhan to practise restrain upon self-control. One of the problems facing the world today is widespread individualism. When one interests himself only in his individual gains, he will not be concerned about the welfare of others. Worse still, he will have no qualms in making personal gains out of the losses experienced by others. Often, in the process of changing our lives for the better, this act of individualism will manifest itself. One way to remove this trait will be through the cultivation of empathy. Empathy is the act of placing ourselves in the shoes of others and appreciating their conditions. Fasting in Ramadhan is one way in which empathy can be nurtured. Fasting enables us to empathise with the hunger felt by the needy and refugees all over the world. Only when we have empathy will we be genuinely concerned with the conditions of others. As such, we would not only strive to change ourselves for the better but also to better the lives of others. Ramadhan teaches us to always be of service to others. We are told not to merely be pious Muslims but one who also strives to make others pious as well. In Ramadhan, we are commanded to perform the obligatory payment of the zakat fitrah. It is a symbol of concern for the plight of others and the desire to help others. In an attempt to better ourselves, we should allocate some of our time to serve others. In fact, Islam teaches us that we are in fact helping ourselves by offering our help to others. When we help others, Allah will help us. This comes in the form of sympathy from others towards us in our times of need. The rewards we receive from Allah as a result of our help will become a blessing for our lives. It is this blessing which is most pertinent in our pursuit of happiness in life. There are so many rich people devoid of tranquility in their lives. On the contrary, there are just as many people who might be less privileged who lead a serene life as a result of the blessings they receive from Allah. In short, love others before we receive love itself. Serve others instead of expecting others to serve us in order to change our respective lives for the better. 6. Making good routine a habit. One of the factors which one needs to intensify would be the performance of his or her good routine. If we do not have good habits, our lives would be filled with bad ones. 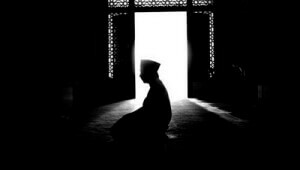 Ramadhan provides an oppurtunity to heighten and subsequently establish good routines. In Ramadhan, we are taught to be moderate in our food consumption, to arise early, to perform acts of worship consistently, to lessen or stop smoking and henceforth. Therefore, we have to seize this opportunity. We can start contemplating good routines which can be continued after Ramadhan and ensuring that they are adhered to till the next Ramadhan. We are indeed at a loss if there is no continuity of good routines after Ramadhan because Muslim scholars have advised that a Muslim whose current day is akin to his day before is at a loss. Ramadhan is filled with numerous challenges. If we manage to ride this struggle well and overcome the challenges it brings forth, it will create a sense of honour and self-believe. Imagine ourselves being able to discharge our responsibilities in the office with the same efficiency we produce on our normal working days when we are fasting. Won’t it be an accomplishment which reveals our true ability. There is a lot that we can gain from the month of Ramadhan. Indeed, we are both able and capable of making the best of the opportunities that this blessed month has presented to us. Life requires a sense of honour and self-believe. If we seek not to pursue these, then we have neglected the opportunity to unleash the potential within ourselves. However, the honour and self-believe can only be manifested if we truly and conscientiously strive to enliven this blessed month. Those with a mediocre Ramadhan will be devoid of this feeling and thus have missed an opportunity to better themselves. Why does God create Ramadhan full of wisdom for inculcating positive values within ourselves? This is simply because, as Muslims, we must become good example to those around us. Ramadhan teaches us patience, humility, gratitude and compassion. If all these have a profound impact on our lives and we continue observing them, people will surely see these values manifested from within ourselves and associate these values with us – the Muslims. In today’s situation where Muslims are often associated with negative elements, we need to assume the role of an exemplary Muslim in order to change this trend. Ramadhan will therefore be a platform which trains us to be of exemplary character. Why are we less enticed to evil and more driven towards good in Ramadhan? Ramadhan has indeed prepared a conducive environment for such dynamics to occur. Allah has institutionalised Ramadhan complete with programs designed to create a conducive environment for us such as the tying up of the syaitan, the multiplication of rewards, numerous acts of worship and the performance of good deeds as a community rather than merely by an individual only. When we are in a conducive environment, there will be a greater likelihood for us to perform good deeds. When we worship in a congregation and as a community, we become blessed and strengthened. Why do we most of us find it a challenge to perform the recommended fast outside of Ramadhan? Indeed, the absence of a conducive environment discourages us from performing additional deeds. As such, Ramadhan teaches us the important role the environment plays in changing us for the better. Seek and create a conducive environment and allow it to function as a prominent part of our lives. In order to change into a better Muslim after Ramadhan, we must know ourselves, manage our lives and put ourselves in a conducive environment. All the abovementioned factors are available in Ramadhan. If we foregoes the opportunity to capitalise on pursuing the factors above in Ramadhan, it is feared that there will be no change for the better within ourselves and that we will have to wait for the next Ramadhan for these opportunities to present themselves. There is however, no guarantee that we will be around to experience the Ramadhan after this current one. Let us not wait for tomorrow to change ourselves because every second in our lives comes with a responsibility which we will accountable for. Take immediate steps to know ourselves better, to manage our personal lives and that of our respective families and to create a conducive environment. As long as we are alive, it is never too late to start.